No Drilling Required! The Hide-A-Goose Underbed Gooseneck has been tested to 30,000 lbs. gross trailer weight and 7,500 lbs of vertical load. 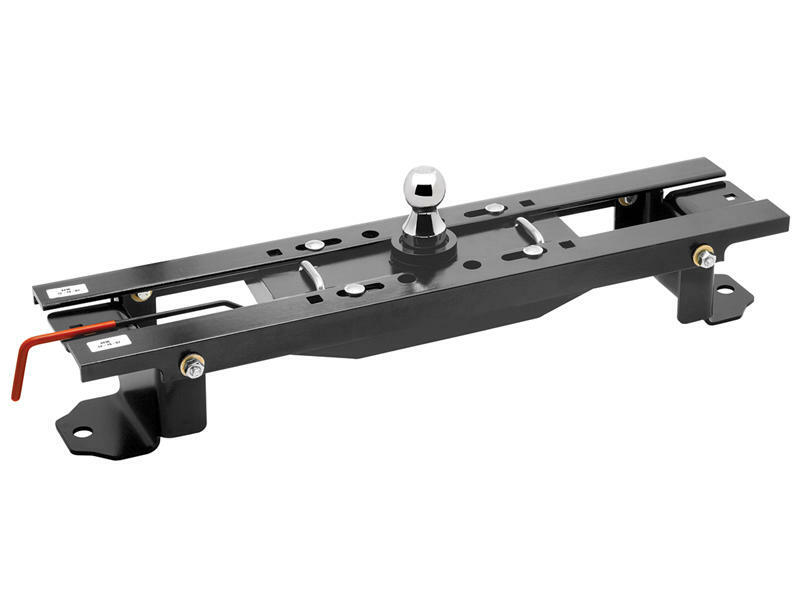 The ball is the only part of this gooseneck hitch that is visible in the bed of your truck and the kit includes a set of vehicle specific mounting rails. Rail kits install in less than two hours without any welding or bed removal. See "Vehicle" tab for the complete list of vehicles that this Hide-A-Goose is designed to fit.